I’ve been researching the surgeons at Gettysburg field hospitals for inclusion in Pocket Gettysburg. One of the best sources is “A Vast Sea of Misery” by Gregory A. Coco (Gettsyburg: Thomas Publications, 1988). As always when I add a new source to Pocket Gettysburg, I try to reconcile that new data with the my previous sources, including especially the Civil War Soldiers and Sailors System (CWSS) and the inscriptions on battlefield monuments. Using the exact spelling of the names in “A Vast Sea of Misery,” some of the surgeons were not found in those other sources. But in the subset of cases listed below I found some other evidence of his possible identity. While I don’t have any plans to research these people further, the data is recorded here for posterity in the hopes that it helps some future researchers. Bache, Thomas H. U.S. Volunteers Listed as a surgeon and Staff Officer on the PA State Memorial. McCabe, H.M. 4th Ohio Inf. Hospital: 3rd Div., 2nd Corps This surname is phonetically the same and therefore almost certainly the same surgeon as the one listed immediately above. * In the context of this article, “in the AOP” and “in the AONV” means in units of the respective armies which were at Gettysburg. ** All name comparisons are made phonetically. A gift certificate for a Segway tour of the Gettysburg battlefield is the perfect holiday gift – and for the next few days it is 10% off! Don’t miss this rare discounted price to experience the #1 most popular activity in Gettysburg, according to TripAdvisor.com. 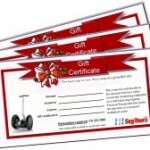 A gift certificate from Segway Tours and Rides of Gettysburg can be for any amount that you choose or could simply reflect the type of tour or ride (so the recipient does not see the price that you paid). You’ll get an attractive paper certificate that you can put in an envelope as a gift. You can even buy a gift certificate and redeem it yourself for one of our tours, rides, souvenir shirts, or other products. Best of all, we can optionally email the gift certificate to you – so you don’t have to wait for it to arrive by mail! (A color printer is recommended). Through this limited-time offer, the discount CAN be combined with other discounts (ask for resident, military, or first responder discounts) but cannot be applied to the optional License Battlefield Guide fee. Gift certificates can be redeemed for at least two years after the date of issue. Gift certificates are only available by phone: 717-253-7987. The 10% discount offer expires Saturday, 30 November 2013 so call us today! Experience history and enjoy the ride. In addition to the 150th anniversary of the Gettysburg Address, next week marks the 50th anniversary of JFK’s assassination. My father-in-law, Tom Reid, was in charge of JFK’s state funeral at Arlington National Cemetery. Now 76 years old and coping with Parkinson’s, Tom is interviewed in this video about the events of those tumultuous days. He gives his first-hand account and those of more than 20 other members of The Old Guard who participated in the funeral in his recent book, Their Finest Hour. We love you, Tom. Thank you for your service to the country! As mentioned earlier, I’ve transcribed the 1860 U.S. Federal Census of Gettysburg and will include all of those people in a future version of Pocket Gettysburg. If you look at just the heads of households…. Among other interesting conclusions here is that the value of the combined estates of all blacks and mulattoes in the Borough was less than that of four average households headed by white males. That is, due apparently to a substantial inheritance, a woman, Mary Myers, was the single largest landholder and the third richest person in the Borough! Abraham Cole, a 40-year-old Methodist clergyman, owned the most land ($1000) and had the largest total estate ($1100) among black residents of the Borough. Lastly, you can have your own copy of the 1860 U.S. Federal Census of Gettysburg. I’ve uploaded a fully-searchable PDF file with my transcription here. The transcription process was time-consuming because I frequently found myself asking questions like “What the heck is a ‘mantua maker’?”, “What’s a ‘saddle tree maker’?”, and “What’s the difference between a domestic and a servant?” So, of course, I got sidetracked while looking for those answers. But it has all been great fun and a quite a learning experience! As is generally known, coach making was the biggest industry in Gettysburg in 1860. When you count all of the coach-related trades like wheelwrights and coach lace weavers, it represented a little more than 11% of the work force in the Borough. Of course, that population is limited to the 672 people (28.12%) whose occupation is specifically listed in the census. For many people (including 16% of males between the age of 18 and 60), no occupation was listed — so some occupations were probably under-represented (e.g., farmers). Lastly, it is acknowledged that the grouping of occupations into industries is somewhat subjective. (For this purpose, each category includes journeymen, apprentices, and masters). Oh, and the difference between a domestic and a servant? Domestics were generally white (44 of 50 or 88%) and servants were generally black (5 of 7 or 71%). I’ll post more analysis with respect to individual residents once I finish cross-checking name spellings against other records. Segway Tours of Gettysburg is prominently featured today on the front page of the Travel section of USA Today! LBG Charlie Fennell talks about Segway tours of the battlefield and the challenges that the borough will face on the 150th anniversary. Our own Meghan Ogley is also featured in photos and video! Here’s the full article and video. How many men were awarded the Medal Of Honor for their action in the Gettysburg Campaign? 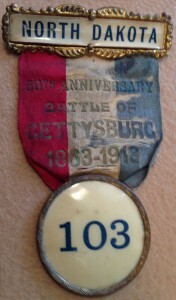 That question was raised on the Facebook Page “Test Your Knowledge On The Battle of Gettysburg”. But by almost all accounts, the Gettysburg Campaign started a month earlier, on June 3rd, as Robert E. Lee slipped away from Fredericksburg, VA and headed toward the Blue Ridge Mountains. 1It does not include 1Lt. Alonzo Cushing whose Medal of Honor has been recommended but not approved as of this writing (12 May 2013). 2Coddington, Edwin B., “The Gettysburg Campaign: A Study in Command” (New York: Touchstone, 1997), p. vii. 3Civil War Battle Summaries by Campaign. 4OR s1, v27, pt2, pg 5-7. 5The record at the Congressional Medal of Honor Society (and apparently the citation itself) says Hanover Courthouse, VA but the 5th NY Cavalry was in Hanover, PA on this date. The Battle of Hanover Courthouse, VA was on 27 May 1862. 6Also for service at Reams Station, VA on 25 August 1864. 7Also for service at Bull Run, VA on 30 August 1862. 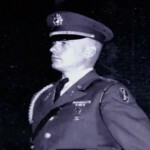 9Newby’s Cross Roads, also known as Battle Mountain, Amissville, VA.
1st Lt. Alonzo Cushing – One Step Closer to the Medal of Honor, 11 March 2010. Fun Facts about the Medal of Honor, 14 March 2010. 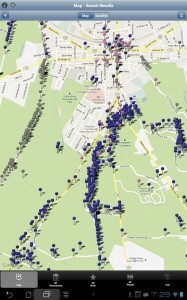 Gettysburg, Pennsylvania – 30 April 2013 – SegTours, LLC announces the long-awaited release of the Android version of Pocket Gettysburg, the popular smartphone app for researchers and visitors to the Gettysburg National Military Park. In this 150th year after the battle, technology finally makes it easy to learn about the monuments, military organizations, and people that are connected to this critical battle of the American Civil War. Like the Apple version of Pocket Gettysburg before it, the new release for Android phones and tablets includes a virtual encyclopedia of information about the battle in three integrated and searchable databases. Then there is a record of each of the 860+ military units (regiments, brigades, divisions, corps, and armies) that were present, noting the unit’s succession of commanders as they were killed, wounded or captured over the course of the three-day battle. The database also includes the strengths and losses of each unit, the types and number of cannon in each battery, and a detailed history of each regiment for the duration of the war, among other types of data. An “Order of Battle” details the command structure and organization of those military units within the Union and Confederate armies. Finally, there is a database of more than 45,000 of the soldiers and citizens who played a part in the battle, including the commanders at each level plus the name and rank of every person who is mentioned on a battlefield monument. In many cases, the app also includes photos and biographical information about those people. For the first time, researchers also have an easy way to search for any people who were buried by name in the Soldier’s National Cemetery, including its Annex. The databases are not only searchable; they are painstakingly cross-linked with one another. So, for instance, researchers can easily find a list and map of all of the monuments that are related to a specific military unit. Or conversely, the app can be used to find more information about the military unit(s) and people that are mentioned on a given monument. Web links frequently point to resources for further reading. Pocket Gettysburg is available from the Google Play and iTunes app stores. A “Lite” version is also available for visitors to the Park who want to navigate the map and monument database without the extra details about military units and people that are of special interest to researchers. *Some mapping features require a GPS-enabled device. Segway Tours and Rides of Gettysburg (SegTours, LLC) was established in 2008 to provide tours of the Gettysburg battlefield using Segway Personal Transporters™ and Licensed Battlefield Guides. For each year since its inception, the company has provided the highest-rated tour on the battlefield, according to the popular travel site, TripAdvisor.com. On 25 January 2013, a post on Michael Waricher’s Battlefield Perspectives Facebook page showed a photo of Colonel Patrick Henry O’Rorke’s tombstone in Rochester, NY. Col. O’Rorke commanded the 140th New York Infantry (3B, 2D, 5C, AOP) and died on the second day at Gettysburg as he famously led a bayonet charge down the southwest slope of Little Round Top. 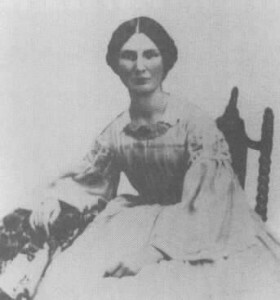 “Madame Clara O’Rorke”1 (née Clarissa Wadsworth Bishop2) was born in Rochester, NY on 29 March 18373, daughter of Edward and Helena/Hanna Bishop.4 She married Patrick Henry O’Rorke at St. Bridget’s Church, Rochester, NY, on 9 July 18625. Just a week before their first anniversary, Colonel O’Rorke was killed at the Battle of Gettysburg. 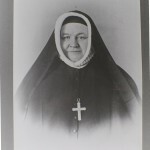 On 14 September 1863, Mrs. O’Rorke applied for and received a widow’s pension of $30.00 per month.6 She took her vows and entered the Society of the Sacred Heart on 19 March 1865,7 serving later as Mother Superior in convents in Detroit, Michigan, Albany, NY, and lastly Providence, RI. 1 “Sadliers’ Catholic Directory, Almanac and Ordo, For the Year of Our Lord 1883 with Reports of the Dioceses in the United States, British America, Ireland, England, and Scotland”, 51st Annual Publication (New York: D. & J. Sadlier and Co., 1883), p292. 2 Despite a variety of online sources which identify her as “Clarrisa” or “Clarrissa,” it was spelled “Clarissa” on her marriage record and in her own hand on her widow’s pension application. 3 “Annual Letters of the Society of the Sacred Heart,” 1892-1893, Part II, pg 270. 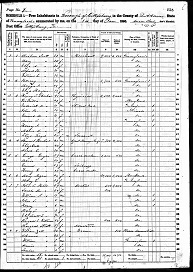 4 Her parents are recorded as Edward and Hannah in the 1860 census but the marriage record (translated from Latin) lists them as Edward and Helena. 5 Marriage Record, St. Bridget’s Church, Rochester, NY, 9 July 1862. 6 Federal Pension File, Patrick Henry O’Rorke, Widow’s pension application #32785 (14 Sep 1863), certificate #6885. 7 “Annual Letters of the Society of the Sacred Heart,” ibid. 8 Michael Pera, Assistant Archivist, Society of the Sacred Heart U.S. Province Archives, St. Louis, MO. 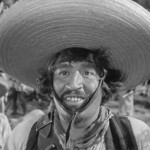 9 “Rhode Island, Deaths, 1630-1930” on Ancestry.com. 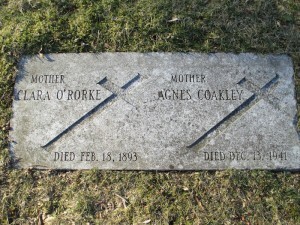 Next of kin is listed as “Jane Orne”. 10 United States. Army, 155th Pennsylvania Infantry Regiment, “Under the Maltese Cross, Antietam to Appomattox: The Loyal Uprising in Western Pennsylvania, 1861-1865” (Pittsburg [sic]: The 155th Regimental Association, 1910), p738. 11 Providence City Directory, 1892. 12 Steiger, Ernst, “Steiger’s Educational Directory for 1878” (New York: E. Steiger, 1878). 13 “The Official Catholic Directory,” (New York : P.J. Kenedy & Sons, 1952), p521. 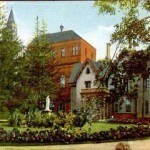 17 Sister Catherine, of St. Pius V Catholic Church (Elmhurst Ave, Providence, RI), who grew up in the area and whose grandfather was the caretaker of the convent grounds; interviewed 28 Jan 2012. 19 Michael Pera, ibid. ; interviewed 30 Jan 2013. 20 Holyhood Cemetery Association (St. Joseph’s Cemetery), 990 LaGrange Street, West Roxbury, MA 02132.